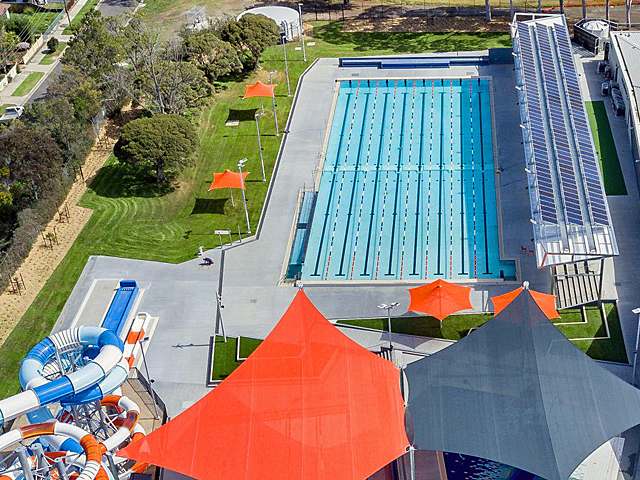 Known for providing versatile design options, ACO’s Freestyle grates are ideal for matching the contextual aesthetics of a space. 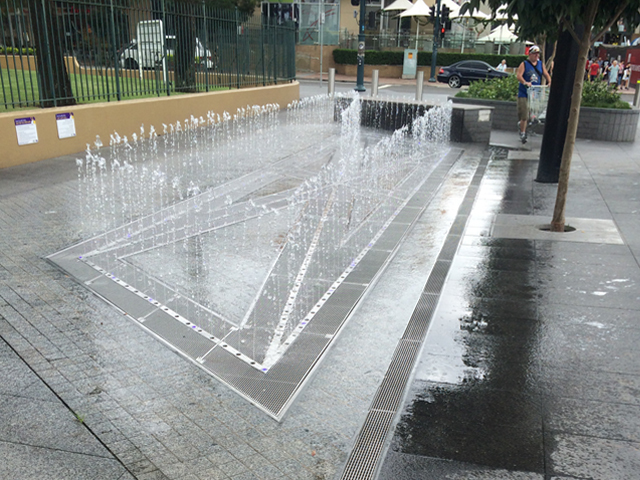 ACO recently delivered these grates in two high-profile Australian public space projects, utilising the area as inspiration to create a stylish and durable drainage solution. 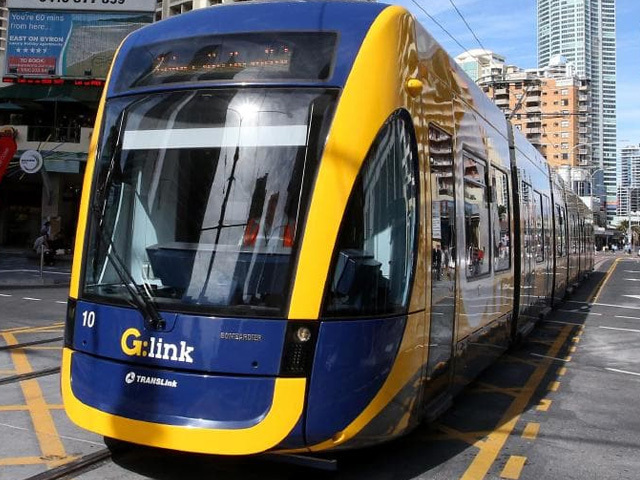 Renewal SA and City of Adelaide created a joint $1 million investment for a placemaking program along the Market to Riverbank Link. The program involved an upgrade to key streets in order to create a thriving connection between Adelaide Central Market and Adelaide Riverbank. Aesthetic was extremely important in the design of this route, which includes five artwork installations, leafy tree canopies, lighting and stylish street furniture, as they wished to create a lively walkway that encourages public engagement. Nicknamed the ‘Geode’ grate, Watson developed a design that mimics the natural shapes and patterns of geode mineral deposits, creating a unique grate system that adheres to the theme of the space. 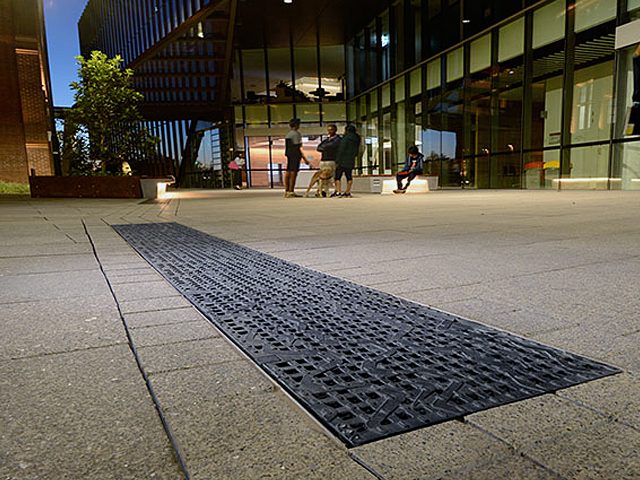 As both projects required a target slip resistance rating, ACO’s Freestyle grate was the ideal choice, as it adheres to ACO’s Heelsafe® Anti-Slip philosophy. This philosophy is embedded in their range of architectural grates, which are underlined by five factors that promote safe pavement designs for public spaces. 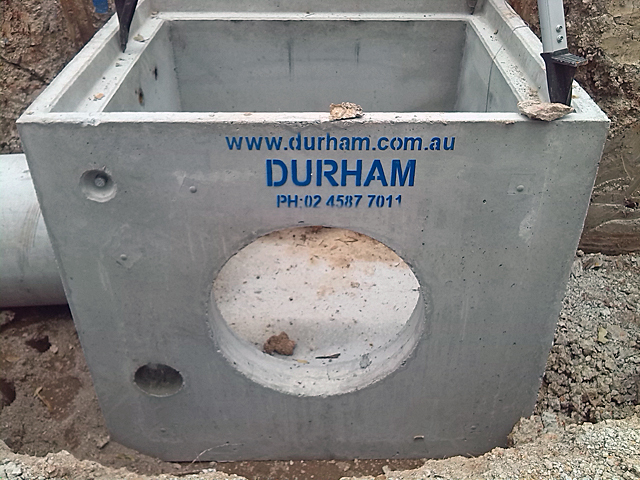 The designs of each grate had to be designed and tested for slip-resistance before they could be approved for installation. 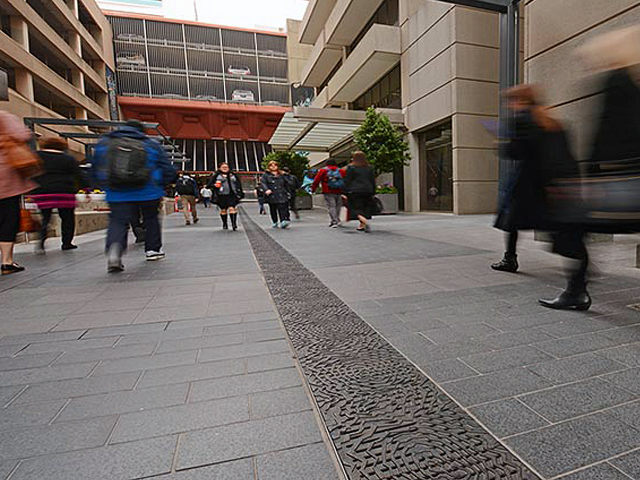 ACO Freestyle grates offer a world of possibilities for urban spaces, providing a versatile, bespoke drainage system that coordinates with new or existing public spaces and structures. 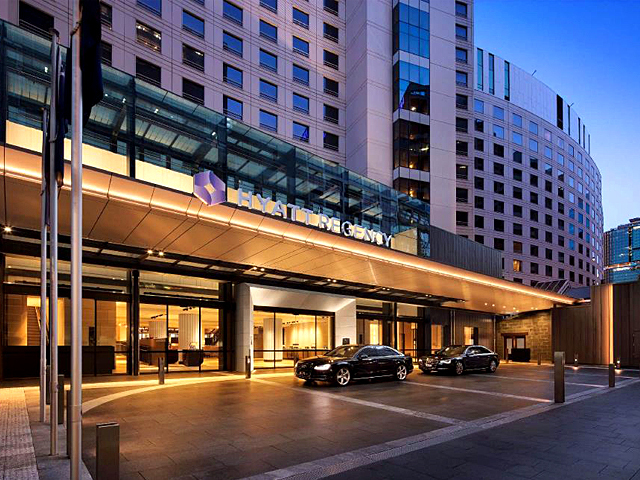 Streetscapes, public squares, courtyards and more can be significantly enhanced as designers are able to incorporate contextual design elements with a range of tools that allow for a range of customisation options that are compatible with ACO’s Polycrete® Channels. ACO also works with the designers to ensure slip resistance levels are met, providing safe, durable and stylish grate system that is ideal for any public space.